Looking to catch up on the critical issues affecting the Internet’s infrastructure without the exhaustive research? Every month, i2Coalition Co-Founder and Executive Director Christian Dawson sits down with experts to discuss issuing facing the Internet and its future. Topics include Intermediary Liability, Internet Governance, Abuse Reporting, Standards Setting, Privacy, Cyber Security, industry social issues, and more. Christian: I’m joined by Darcy Southwell from Endurance International Group. Thank you, Darcy, for taking the time to talk with me today. Darcy: Thanks for having me. Christian: To provide a little bit of background for those who may not know, Endurance International Group is one of the four founding member organizations of the i2Coalition. Since your organization has been there from the beginning, could you tell us a little bit about the company, what you do for Endurance, and how you individually got involved with the i2Coalition? Darcy: Sure. I’m the compliance officer for Endurance International Group. We’re a multinational web hosting, domain name registrar, and public company. I’m responsible for a variety of compliance programs at Endurance. Some of which are our public company requirements, others are regulatory requirements in the US and other countries we operate in. I implement those programs throughout a variety of offices and platforms. To your other question, Endurance introduced me to the i2Coalition, with the note that this is a group that we support wholeheartedly. Specifically, we support the i2Coalition because of the great work from a policy advocacy perspective, as well as the gender and diversity initiatives. Christian: Yes. I’m very excited to talk about that today. Could you tell us about the Diversity and Inclusion Initiative? What is its mission is, what does it work on? Darcy: It came about a couple of years ago when there was a lot of discussion about the lack of gender diversity within the technology field. That absence crosses a variety of departments within the technology field, but most especially the actual tech roles like engineering. It’s obvious to many of us whenever we attend an event or even sit in a conference room within our own companies that there’s a lack of diversity. We wanted to try to find a way to start having that discussion and find ways to improve the diversity in the technology world. We do this through a variety of ways, including employment opportunities, mentorship, etc to make those improvements. Our group was initially called the Gender & Diversity Equity Initiative because of the focus on gender diversity. We recently changed the name to the Diversity & Inclusion Initiative and modified our mission to expand our focus to diversity and inclusion for all. Christian: It’s a great group. I enjoy sitting in the meeting each month. You’re doing cool things. Could you talk to us a bit about some of the projects that you’re working on? What are the things you’re particularly excited about? Darcy: Sure. We’ve spent quite a bit of time looking at a few specific projects. One of those is the benefits that paid family leave policies have on the workplace and company. As many people know, a lot of countries, excluding the US, have a variety of types of paid leave. Some of these provide extensive support to help employees when they decide to have either children or in the event of needing to care for others in their family, for example, an aging parent. We don’t have a federal law in the United States that guarantees these benefits. That makes it a hot topic for us. The group feels strongly about how those benefits affect employee loyalty and employee retention. We’ve also spent quite a bit of time organizing and hosting panels at various technology events in order to get the community talking about the need for diversity. More importantly, for the industry to appreciate the value of diversity. Companies who have a diverse work group are better at creating products and solving problems because their employees bring different backgrounds and idea generation strategies to the table. Christian: I think it’s incredibly important work and I’m very excited that you’re leading this working group. You’re doing tremendous work. For people that are interested in getting involved with DII, what should they do? Darcy: You can reach out on the aforementioned page of the i2Coalition website. You can sign up to be a part of the group if you’re a member of the coalition. We welcome all members, this is not a group for just women. We have a number of vocal and proactive men in the group. I think it’s vital that we have a diverse group. We’re working on diversity, not just women’s issues. We are also looking for other ideas too. Even if you’re not passionate about the two things I’ve talked about, we’re continuing to evolve, we’re continuing to look at where we can contribute to the conversation on social issues in the industry. Please reach out to me if you have any questions or concerns. I’m happy to explain more about how individuals can contribute. Christian: That’s great. You were also in Washington DC last month attending the i2Coalition annual Congressional Fly-In. This was the first you’ve been able to join us. Darcy: It was and I enjoyed it. Christian: We were glad to have you. Was there anything in particular that you found impactful? Darcy: Well, it was two-fold. I was curious to hear what others have to say on the key issues we’ve talked about. It was great hearing those other perspectives and then spending time with the i2Coalition and Diversity and Inclusion Initiative members. We are often not in the same physical location. 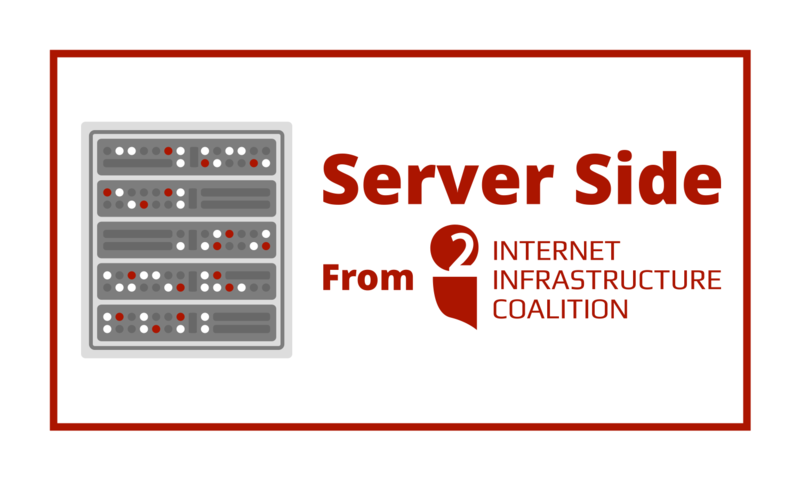 Like much of the i2Coalition groups, our work is done over the phone and Internet. We meet by phone once a month. It was great meeting the members who were there and having those face to face conversations. From these conversations, we’re all very excited about what we will accomplish with our group. Christian: That’s great. I thank you for your time today and I look forward to seeing you in the near future. Darcy: Thank you so much, Christian.